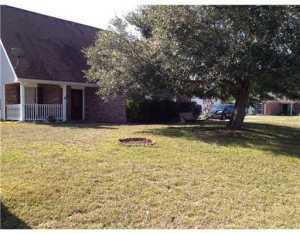 TWO STORY HOME CLOSE TO ST MARTIN SCHOOLS, CONVENIENT TO i 10. FLOOD ZONE X, NO FLOOD INSURANCE REQUIRED. GREAT ROOM WITH HIGH CEILING AND FIREPLACE, MASTER ON GROUND LEVEL. WALK IN ATTIC. NEEDS SOME UPDATING. Great Find in Bayou Lacroix! Move in ready. Pride of Ownership shows! Waterfront Commmunity of Bayou Lacroix. Very near public boat ramp. So well kept! Completed renovated in 2012 with new windows, new HVAC, new appliances, new bathrooms, new hot water heater. Front porch, Cypress wood Floors in Living Room, 9 ft ceilings thru out, Large family style kitchen. Everything has been updated! New flooring, bathrooms. Two full baths, Large inside laundry room.All the furnishings are negotiable. 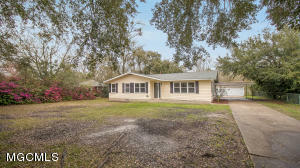 Would make a great family home or VACATION RENTAL. 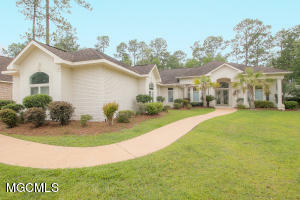 Exquisite waterfront home with unsurpassed waterfront views! 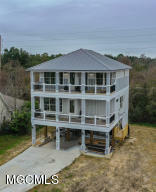 Open floor plan features top of the line amenities including custom kitchen with huge granite island with bar seating. Stainless steel appliances and custom cabinets. Great Room and Dining Room are enhanced with tremendous windows. Stunning etched, leaded glass front door. Upstairs family room with wet bar. Beautifully appointed bathrooms! Bottom floor features garage, storage and entertainment areas. Backyard paradise under shady mature oaks. Bulkhead, Pier. Pride of Ownership shows. Don’t miss out on this one! 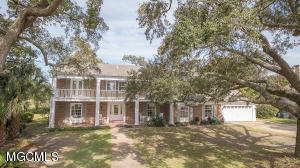 Spectacular home with private boat dock on the bay in Ocean Springs. THIS IS IT! Gently lived in home (only two years old) boasts high ceilings, wood floors, custom crown molding throughout. Gourmet kitchen to die for with state of the art appliances. Outdoor cooking area with beautifully landscaped, fenced yard also has a screened-in porch. This is also a SMART home. 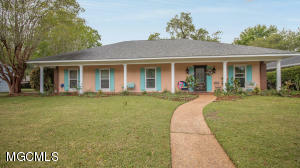 ALL located near to downtown Ocean Springs and just minutes over the bride to Biloxi/Gulfport. 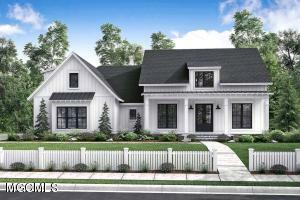 Cute single family home with beach style flair! 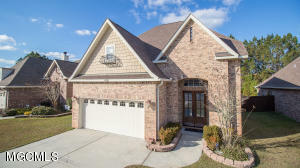 Located in Madison Place Subdivision in Ocean Springs, just North of Hwy 90. This home boasts 10′ ceilings downstairs with a very open floor plan. Main floor Master Bedroom. 9′ ceilings on 2nd floor. All areas have granite surfaces and custom cabinetry. Some ceramic tile flooring. Stainless steel appliance package in kitchen. Two heating/cooling units and on demand gas hot water heater. Also features a double carport. Beautiful Custom Home Under Construction. 4th Bedroom & Bath Upstairs. Formal Entry, Dining Room, Living Room with Natural wood flooring and Gas Fireplace, Open Kitchen with Gas Cooktop and Bar, Split Large Master Suite, 2 Bedrooms with Full Bath Between, Double Garage Plan.Pictures are artist renderings actual home may vary from pictures. SOUTHERN CHARM on the Golf Course! This single family home is eagerly awaiting new owners. Plenty of room to grow with 3 bedrooms and 3 baths. Beautiful great room with vaulted ceiling and fireplace. The kitchen has hard surfaces and gas cooktop. Eat-in area also has open pass through to the game room so everyone can enjoy company and family time. Outside your backyard you’ve got views of the golf course, and two great sitting areas – an enclosed sunroom and a covered outdoor area. Plus.. you’re just a walk away from the BEACH! Just say AHHH! 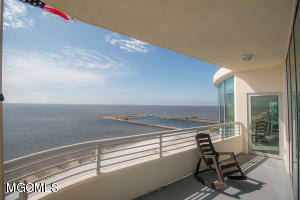 Spectacular Gulf views in this top floor condo at Ocean Club in Biloxi. This is your central location for access to all the fun, sun and activity that the Gulf Coast has to offer. This condo is perfect for those wanting to downsize or for a destination getaway! Community features a heated outdoor pool, outdoor kitchen area and fitness center. 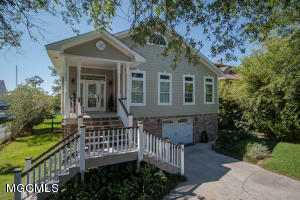 PRECIOUS cottage in Broadmoor! Less than one mile from the beach. Wood floors throughout this charming home. Updated bathrooms and closets. 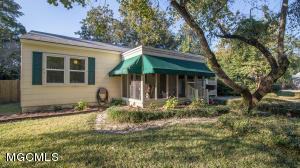 Sit on the quaint screened in porch or enjoy a cookout in the beautifully landscaped back yard. 3 Bedrooms and 2 baths. GREAT home! Our commitment is to provide superior counsel to our buyers and sellers with integrity, experience, and knowledge. Our focus is on honest, loyal and ethical business practices. Our work is committed to passionately exceeding our customer’s expectations by ensuring the trust and loyalty of our clients, associates, and employees, and providing effective timely communications in all business dealings. We want to provide you with unparalleled professionalism and exceptional service. We believe ongoing commitment to serve the community by contributing our time and financial resources is key to knowing the facts about the local area markets, and the changing times. Our focus is on honest, loyal and ethical business practices. Our work is committed to passionately exceeding our customer's expectations by ensuring the trust and loyalty of our clients, associates and employees, and providing effective timely communications in all business dealings. Copyright 2002. Mississippi Gulf Coast Multiple Listing Service, Inc. Buyer and/or Buyer's Agent should verify data and evaluate source. 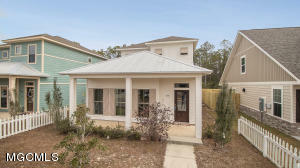 This information is furnished by the Mississippi Gulf Coast Multiple Listing Service, Inc. 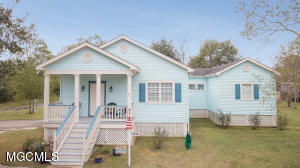 This data is copyrighted and may not be transmitted, retransmitted, copied, framed, repurposed, or altered in any way for any other site, individual and/or purpose without the express written permission of the Mississippi Gulf Coast Multiple Listing Service, Inc. All properties are subject to prior sale, change or withdrawal. Neither the MLS nor the Listing Broker will be held responsible for any typographical errors, misinformation or misprints and shall be held totally harmless. © 2017. All Rights Reserved. Southern Mississippi Real Estate.